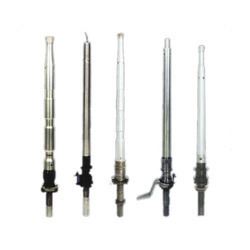 Leading Manufacturer of spindles with special spinning head from Gandhinagar. By manufacturing and supplying the finest quality of Spindles with Special Spinning Head, we believe in making a long lasting association with our customers. Used in textile industry, the offered spindles with special spinning head are known for their hassle-free performance and low maintenance. Besides this, the offered spindles with special spinning head are rendered by us at cost effective prices.